Our receptionists are here to help you and one of their primary roles is to make emergency and routine appointments for patients to see a doctor or nurse. When making an appointment, a receptionist may ask for some details. They are trained to make certain enquiries and give certain advice to help you as best we can, and to try to make sure that you see the most appropriate person at the surgery. 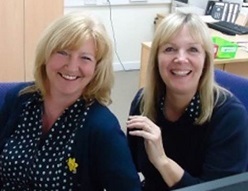 Our receptionists also undertake repeat prescriptions and answer numerous and varied questions.